T-Mobile is celebrating the season of holidays giving away a Samsung tv 4K 50-inch to all of your customers who buy a flagship phone from Samsung. If you did not buy a tv on Black Friday or you missed a good deal of Cyber Monday, the telephone company T-Mobile has an offer that, without a doubt, you will celebrate. Starting this Friday, November 30, you’ll be able to receive free of charge a Samsung smart tv 4K UHD 50 inch, when you buy a flagship smartphone from Samsung. Phones eligible for this offer are the Galaxy Note9, Galaxy S9, Galaxy S9+, Galaxy S8 and the samsung Galaxy S8 Active. More specifically, if you want to take this gift, in addition to the purchase of your phone also you should add an Equipment installment Plan (EIP), without interest, and when you add a voice service. If it seems like a good option, the company recommends that you be in a hurry, because stocks are limited, and will be available by order of arrival. “The most important priority of T-Mobile is to simplify the lives of our customers, so we thought of this surprise gift for this season.” said John Legere, ceo of T-Mobile. “Who wouldn’t want to avoid the long lines and the stress that cause the purchasing? With this tv free and Netflix on our account, the Un-carrier wants to give you one more reason to enjoy these holidays at home, as well as the possibility of watching holiday programs together with family and friends,” he added. The company also noted that those who integrate your clientele will get various other additional services, such as Netflix, that comes included for free with family plans, an hour of Wifi service Gogo on board, for those who do travel by plane, in addition to gifts and offers are available every Tuesday through T-Mobile Tuesday. To take advantage of this offer, you can visit a T-Mobile shop. 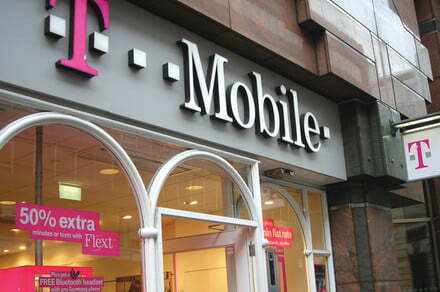 The company explains that, to receive a tv free, first you need to register on the internet, but the service experts customer of T-Mobile will help you to do it in a quick and easy way. Then, you will receive an email with instructions on how to place your order. As you had mentioned, quantities are limited, and once they run out the offer will not be extended. For more information on this and other offers Samsung phones, you can visit the site for special offers of the company.